Gola St. Michael Church is one of the oldest churches in Addis Ababa. 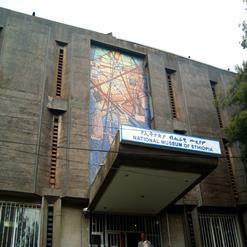 Visitors can see old paintings made by various well-known Ethiopian artists. The church also has a museum containing church articles given by renowned people of the country. It’s one of the best places to visit in Addis Ababa.